Everyone needs zipper pouches to put their stuff in! 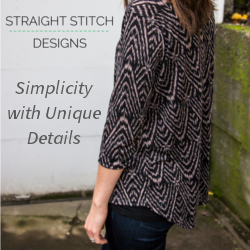 I love this one because you can use scraps from other projects, mix and match fabrics, or keep them simple. 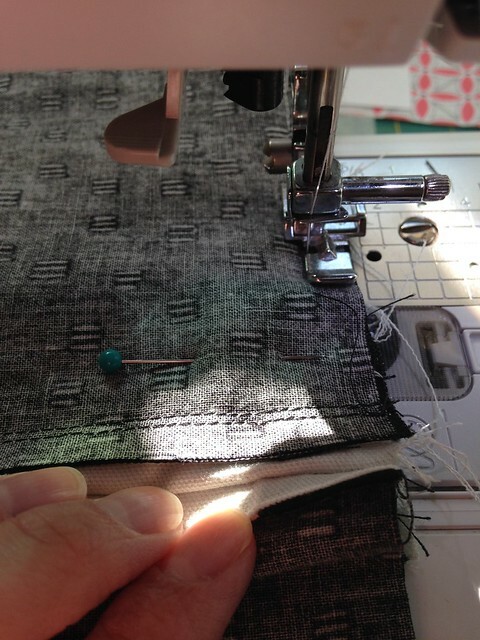 I used this tutorial for a Triple Zip Pouch from A Quilter’s Table. The first pouch I made, I followed her instructions exactly (I won’t be including pics of that one yet because it’s a gift for someone who might see this post). I wasn’t sure about the sturdiness of using the fusible fleece though, so for my next one, I just used a heavier outside fabric, and quilting cotton for the inside. The first change I made was to cut the large lining piece and large outside piece into 2 pieces. 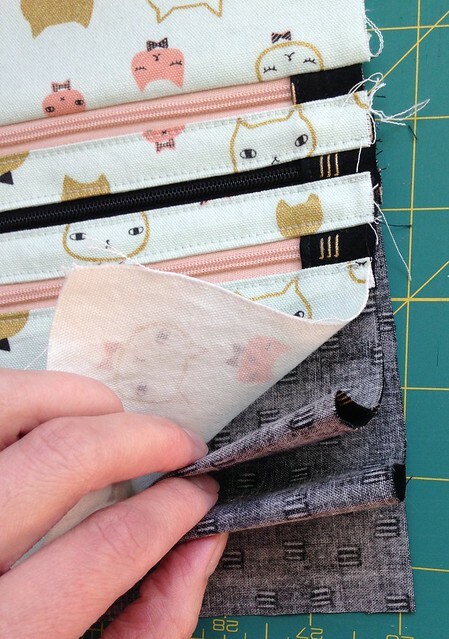 This is important to note if you have a directional print for the outside like I did (can you believe I have no memory of where I found this adorable cat fabric?!). You can actually wait to do this after you’ve sewn all of the zippers onto the fabric pieces, then in the step where everything is a circular mess 🙂 you can pull those two pieces down and simply cut along the bottom to make them separate pieces. In the Triple Zip Tutorial she mentions how the project will be “odd looking”, that’s the step I’m referring to. If you waited to cut at this point and laid it flat, it would look like the picture above. And like this when you turn it over. You can see the small two pockets here. Now flip your outside pieces so they’re facing right sides together and sew along the bottom only. I used a 1/4″ seam allowance. 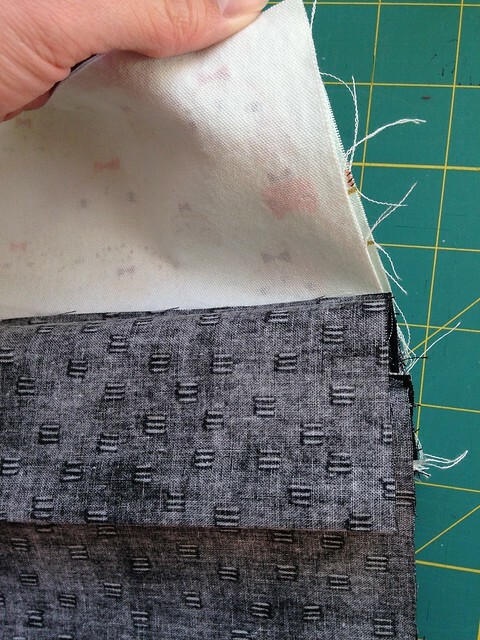 Now layer your outside piece with the inside pockets, and pull the large inside lining pieces away from them. My inside pockets and outside fabric are at the bottom in the picture, and my large inside pocket pieces are at the top. Sew these layers together at the sides using about a 1/4″ to 1/2″ seam allowance and stop about a 1/4″ away from the zipper seams. This easily closes up the two smaller pockets and the outside fabric. 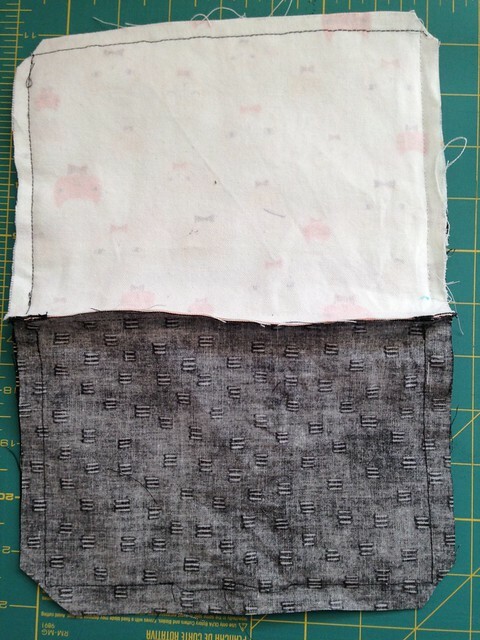 Then turn the pouch around and sew around the large pocket leaving a 2″ opening at the bottom. 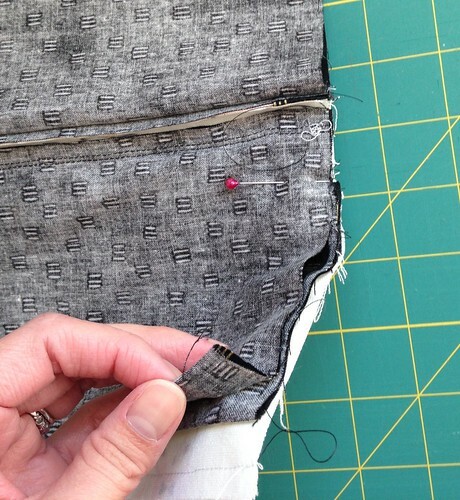 Sew using a 1/2″ seam allowance and stop as close to the zipper seam as possible. Then cut the corners and turn right side out. Close the opening of the pocket and you’re done! 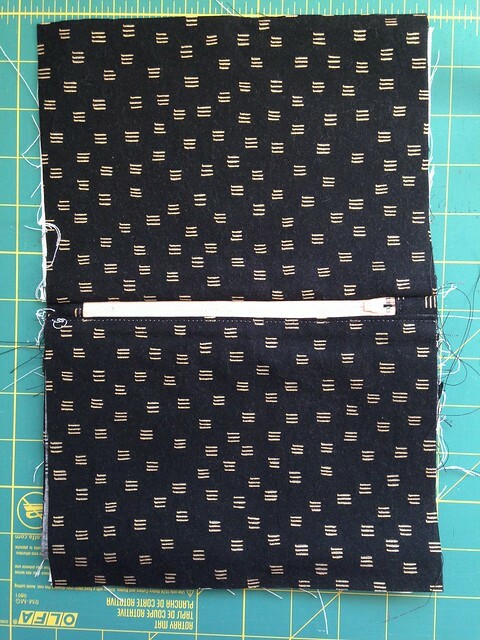 I think for my next three zipper pouch I’ll interface the outside fabric with shape flex interfacing. I’ll report back if it’s better, worse, or just another option. 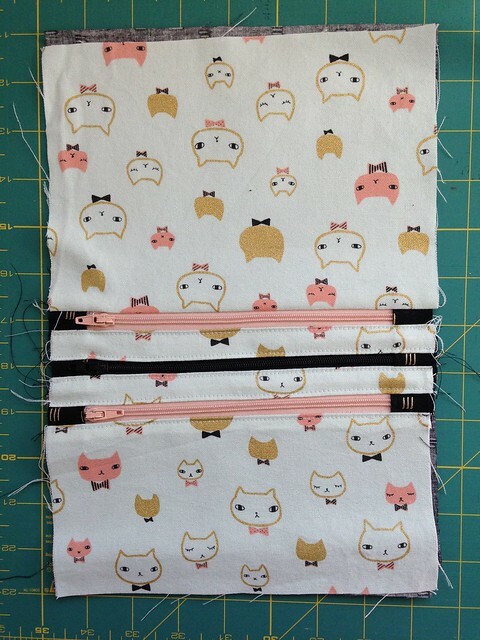 Let me know if you have an interfacing you prefer for little zipper pouches, or if you just skip interfacing altogether! I love to learn what others are doing too! Very Good Job!! Mine is so…. basic! That’s what I love about zippy pouches, so many options!